Nifty FMCG - Bearish Island Reversal Pattern to be Revisited? You are here: Home / Futures and Options / Nifty FMCG – Bearish Island Reversal Pattern to be Revisited? Nifty FMCG – Bearish Island Reversal Pattern to be Revisited? Nifty FMCG index formed a classical bearish island reversal pattern during the month of July 2017 since then it is drastically under-performing nifty and moving in a sideways phase, tightly compressed for the last 5 trading months. An island reversal is short-term reversal pattern that forms with two overlapping gaps. 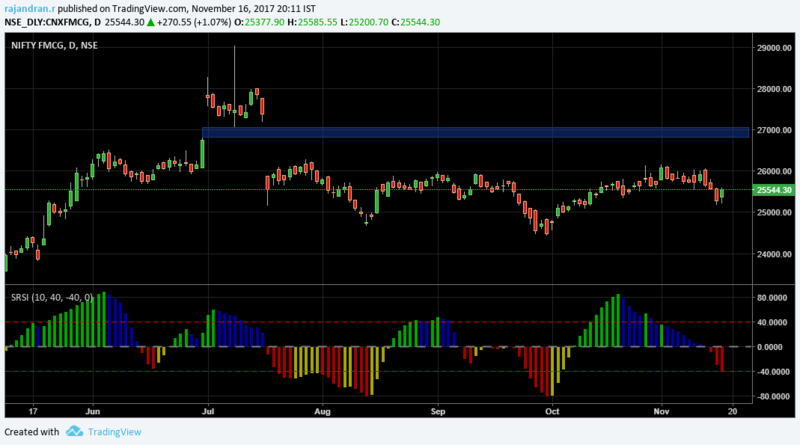 Gap Zone on the daily chart comes around 26800-27075. Medium term outlook is bullish as the weekly sentiment continues to be positive for the 6 consecutive straight weeks. 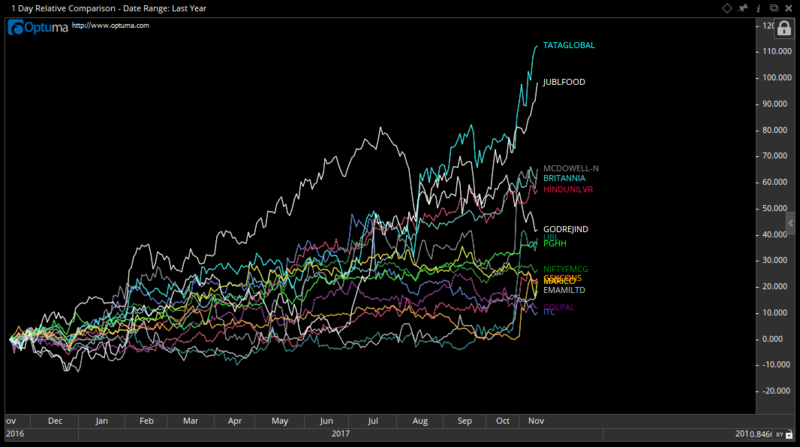 Tops 5 stocks who is currently outperforming the underlying FMCG stocks include TataGlobal, Jublfood, MCDowell, Britannia, Hindustan Uniliver relative to Nifty FMCG index. Bank Nifty Probable Head and Shoulder Pattern In a post earlier I have mentioned about a probable head and shoulder pattern developing in bank nifty. 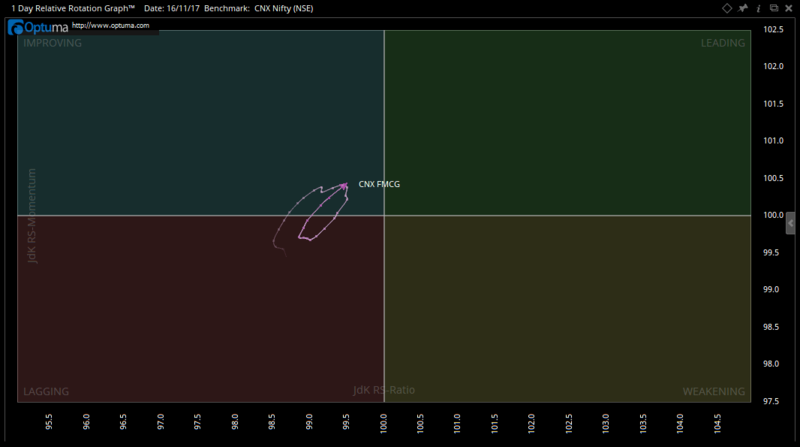 A similar pattern is forming in NIFTY chart.